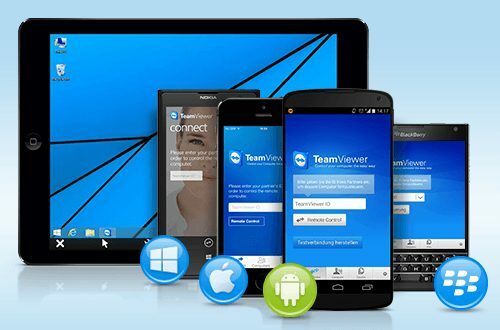 Whether you provide spontaneous remote support, administer servers or work from your home office, TeamViewer gives you the possibility of being able to control computers remotely as if you were sitting right in front of them. You can provide technical support to mobile devices such as iPad, iPhone, iPod Touch and Android devices. You can do all this conveniently from your work station. Do you need to provide daily remote support to customers and offer quick, on-the-spot solutions? You can easily control your customer’s computer remotely with TeamViewer, as if you were sitting right in front of it. 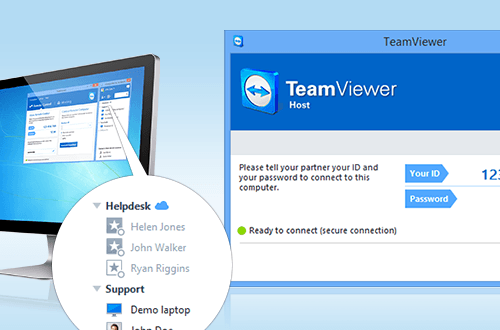 With the customer module TeamViewer QuickSupport, you can remotely connect within seconds without the customer needing to install any software. Administer remote computers and servers anytime, anywhere as if you were sitting directly in front of them. If you save the computers or servers as a contact in the Computers & Contacts list, you can connect easily with just a single mouse-click! Wake up unattended computers that you do not wish to leave on all the time with Wake-on-LAN. Conveniently transfer files to and from the remote computer during a TeamViewer session. 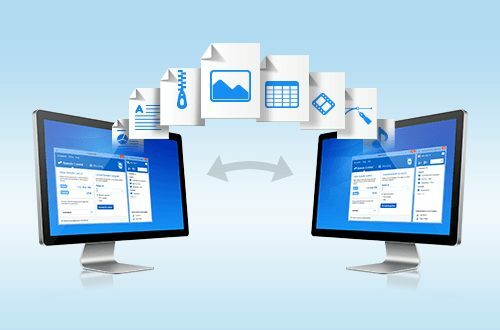 Use drag and drop, copy and paste via the clipboard, or cloud storage to copy individual files and entire folders within seconds to any location. Send files to contacts in your Computers & Contacts list without first establishing a connection. FTP servers and size limits on attachments in emails are now a thing of the past!